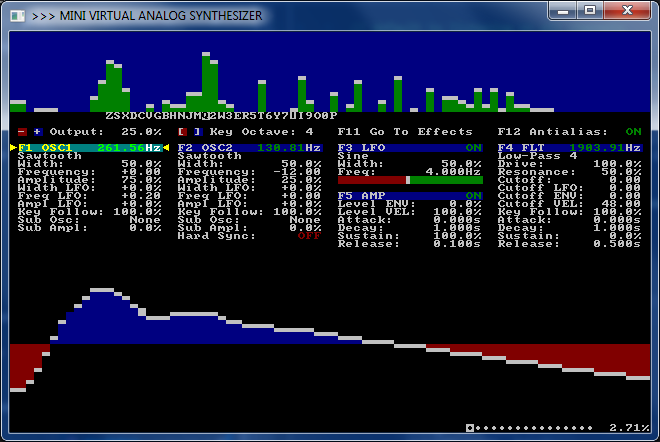 I've spent the past couple months putting together a small synthesizer program. 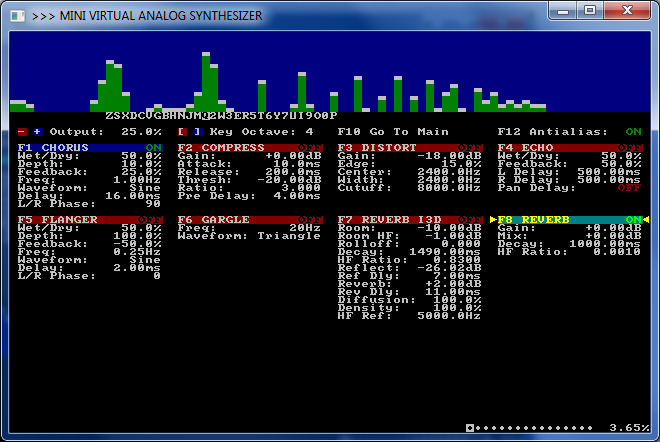 It started out as the very simple synthesizer example program that came with the BASS sound library but has changed almost completely since then. Release 6 (2015-03-14) Happy Pi Day!